The field of agriculture requires new strategies to control the damage caused by phytopathogens and to effectively promote plant growth and production. Until recently, one of the best alternatives was the application of microorganisms exhibiting biocontrol and plant growth-promoting traits. Therefore, to select the best microorganisms, it is essential to analyse these beneficial activities based on reliable search methods and to ensure the greatest extent possible and their successful application in the field. 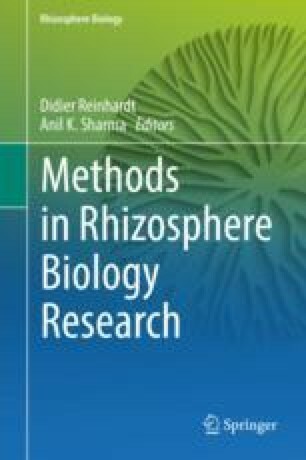 In this chapter, we have summarized and compared different methods to detect direct and indirect activities that promote plant growth, with an emphasis on rhizobacteria. Moreover, we have compiled a detailed description of the methods that could be of interest for analysing bacterial isolates that exhibit potential plant growth-promoting activities. G.S. thanks the Coordinación de la InvestigaciónCientífica of the Universidad Michoacana de San Nicolás de Hidalgo for the financial support to research projects.